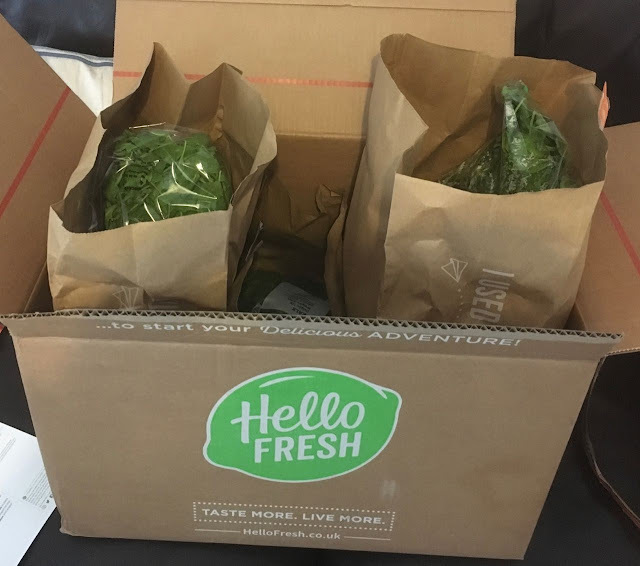 We were very kindly asked if we wanted to try out a Hello Fresh recipe box. We said we did and they sent us a huge box full of goodies. Inside were the recipes for three meals, including all the ingredients to make them. The delivery even came with all the chilled ingredients packed in heavy insulation and with ice packs. There was a note on the box saying it must be delivered that day, which wasn’t a problem as we were in. We had a good look through the box and found that there were three bags, one for each recipe, they really are making it simple. I was impressed by the quality of the fresh ingredients, everything looked in good condition, and nothing worried me that it had to be eaten first. There was a nice range of meals too, with a prawn, chicken and lamb dish. We decided to start off by trying out the Lamb Ragu Pappardelle. I gave the recipe a bit of a read and it all looked very straightforward. 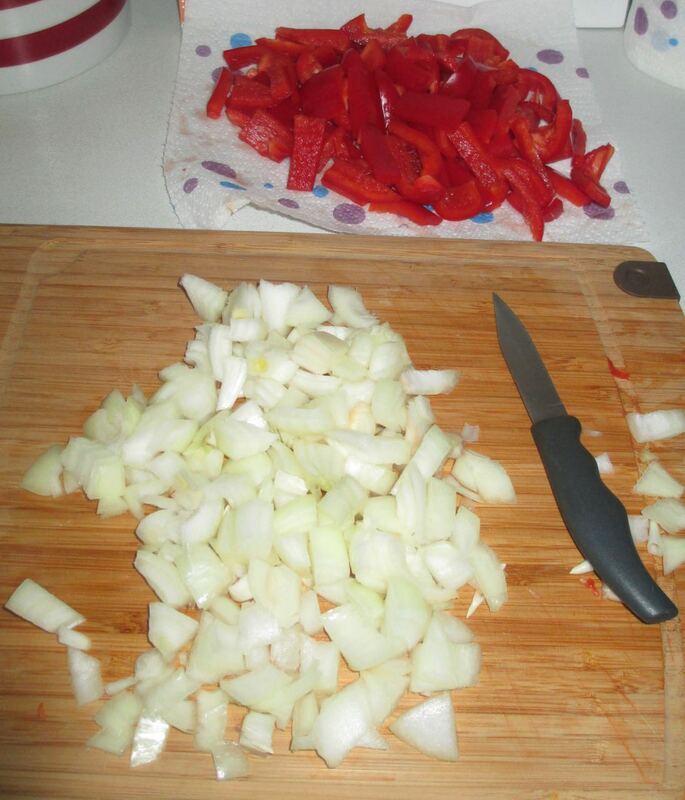 Prep the veggies, including chopping the onions, fry off the lamb, removing the excess fat. 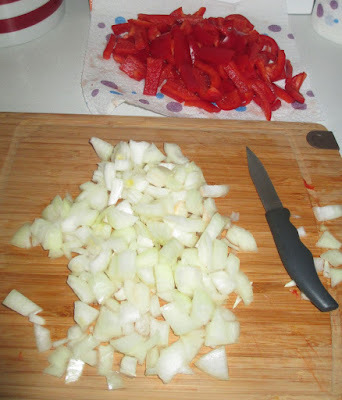 Add the onions and chopped tomatoes with basil and the stock. Give it all a taste test, so see if it needed salt and pepper, but it was spot on without. Cook the pasta, it was really big pasta, Pappardelle, not something I’ve bought before, but it did look posh in our pasta bowls. We finished the dish, and added herbs and cheese. I say cheese, but it was actually some pieces of parmesan that were included, and I grated it finely and topped the bowls. I can’t explain to you just how good the flavour of the cheese was, we regular buy the tubs of pre-grated hard Italian cheese, but this was so much nicer it was actually in a different league. One thing is for sure, I’m buying proper Parmesan from now on. 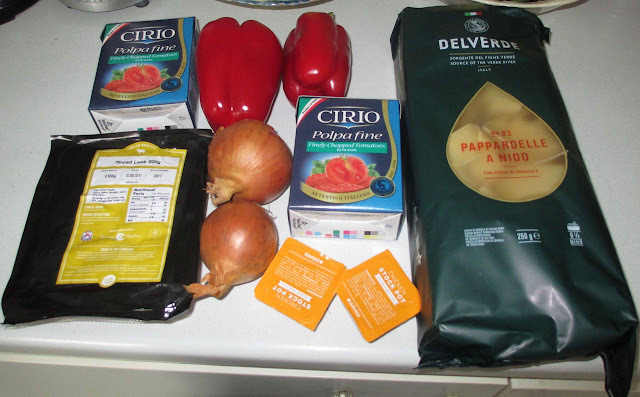 Apart from salt/pepper and oil, everything else was included in the bags. I liked that I didn’t have to go out and buy anything fresh. 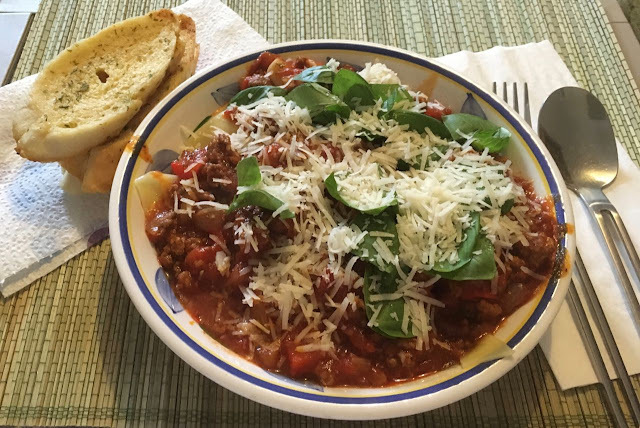 The recipe was delicious, and everyone commented on how good it was. It really wasn’t much more difficult that using a jar of sauce for pasta, but the results were tastier, fresher and without any preservatives, extra salt /sugar that might be added to a jar. It is a much nicer way to cook, and it was so simple to follow. This is a recipe I will be making again, as it made such a tastier evening meal. There is so much satisfaction of cooking something so tasty from scratch, and it was like cooking by numbers. I’m really looking forward to trying out the other two meals. Offer: 50% off your first and second HelloFresh box.